The great advantage of staying at Park Grand London Paddington is there is plenty to do within the immediate area. For those who enjoy the outdoors, there is the wonderful green space of Hyde Park, while there are also plenty of shops, bars and museums to keep even the fussiest visitor happy during their trip to the English capital city. Just half a mile away from the hotel is Hyde Park. Covering around 350 acres, it is one of the largest parks in the capital and is right next door to another popular space – Kensington Gardens. Together, the two royal parks measure around 625 acres in total – right in the heart of the capital. Hyde Park is home to many famous landmarks, such as the Serpentine Lake, Speakers’ Corner, and the Diana, Princess of Wales Memorial Fountain, as well as memorials to the Holocaust and the 7/7 bombings from 2005. The park is also used to host numerous outdoor concerts during the summer months. Since 1968, Hyde Park has welcomed performances from Pink Floyd, The Rolling Stones, Neil Young and Blur. While the summer months see live music events, the park also provides great entertainment in winter with the famous Winter Wonderland attraction. This festive-themed event seeks to celebrate everything related to Christmas. Entry to the attraction is free and there is plenty to do, including an outdoor ice rink, Christmas rides and performances, as well as a special market selling a host of items, in addition to food and drink treats. It is enjoyed by families as well as couples looking to get in the mood for Christmas. 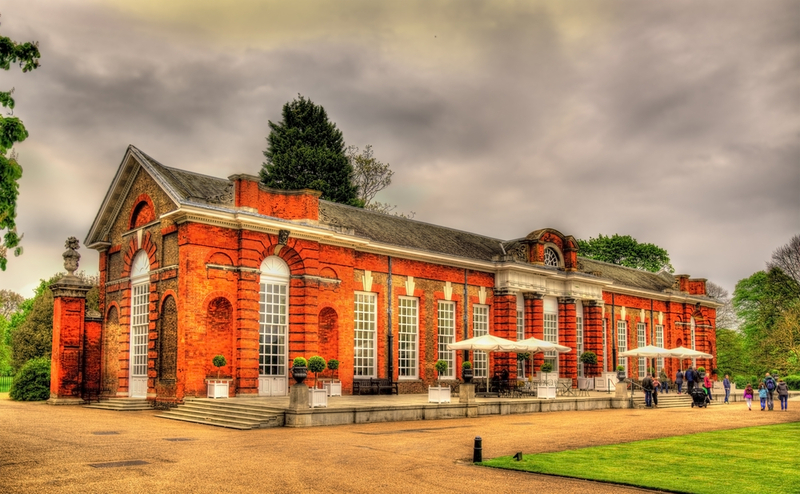 Kensington Palace is the official London residence of many of top Royal Family members, including the Duke and Duchess of Cambridge, Prince Harry and Prince and Princess Michael of Kent. Visitors can take a tour of some areas of the palace and find out more about the King’s Staircase, State Apartments and Gallery, as well as the Queen’s State Apartments. The palace also hosts a number of exhibitions documenting the long and extraordinary life of Queen Victoria and the fashion of Diana, Princess of Wales. Park Grand Paddington is also close to one of the most unusual areas of London – Little Venice. This area is made up of some stunning canals and waterways, with plenty of cafes, pubs and restaurants. Highlights include the Waterway, which has a great terrace – perfect for a spot of people watching. It is also worth enjoying some food at the canalside Summerhouse restaurant, while if you want to experience some traditional British cuisine then the Bridge House pub is a must. Little Venice also has a number of attractions that are perfect for families with young children. In particular, the area is home to several independent theatres, such as the Canal Café Theatre, Sheldon Square’s Amphitheatre and the Puppet Theatre Barge. If you enjoy some retail therapy then head to the world’s most famous street market – Portobello Market. Hundreds of stalls show a whole host of items ranging from antiques, bric-a-brac, as well as vintage fashions. In recent years it has also developed into somewhere to head to in order to find up-and-coming designers. There are also a number of street food venders, so it is the perfect place to also pick up some tasty food-on-the-go. Saturday is the main market day, but most of the retailers are open every day apart from Sunday. If the weather is not great, then it can be fun to spend a day at Madame Tussauds in London. The famous museum is home to a whole host of wax models of celebrities, superheroes and figures of political importance. There are plenty of people to spot ranging from the boy-band One Direction, to actor Brad Pitt and even Captain America. It is possible to have your photo taken next to a whole host of cultural figures including Barack Obama, David Cameron and Boris Johnson before standing with the Queen herself and the Duke and Duchess of Cambridge. If you prefer sporting legends then head to the gallery of famous athletes, including Usain Bolt, Jessica Ennis-Hill and Tom Daley. One of the highlights is the Chamber of Horrors, which looks back at some of the world’s most unsavoury characters. However, be warned this part of the Madam Tussauds is not aimed at young children as it is rather gruesome and potentially could cause nightmares….you have been warned. Share the post "Things to do near Park Grand London Paddington"